Santa Fe’s Recipe for Adventure, a food-lovers guide to all things Santa Fe, is the perfect way to experience the rich food-centered culture of our area. 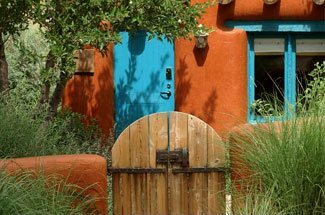 As a centrally located Santa Fe Bed and Breakfast, Four Kachinas is the perfect place to start and end your gastronimical excursion through the region. Here, you will find four hundred year old culinary traditions, from traditional Spanish and Native Cuisine, to inventive modern fusions unique to the Southwest. At the center of our culinary excellence in Santa Fe is the New Mexican Chile. With more chile peppers grown in New Mexico than all other states combined, we use these tasty red and green chiles in every food imaginable, from ice cream to enchiladas. Dating back 6,000 years, green chiles have long been a staple food in New Mexican cuisine. It wasn’t until the mid 1900’s, though, that the green chile took a different and wildly popular turn in Santa Fe cuisine. The perfect place to spice up your taste buds and sample some of these wonderful chiles is on the Green Chile Cheeseburger Trail. That’s right. New Mexico has put together a trail of restaurants where you can sample some of the most delectable green chile cheeseburgers our region has to offer. As legend goes, green chiles used to be served as a popular side dish when hungry travelers stopped in for a traditional American cheeseburger. One day, a local diner owner ran out of bowls for his green chiles, so instead he put it on the cheeseburger itself; hence giving birth to the now world famous green chile cheeseburger. If you don’t have an abundance of time to experience this glorious food, we recommend Bob Cat Bite and Buckhorn Tavern. The green chile cheeseburgers at both restaurants, which are a short distance away from our centrally located Santa Fe bed and breakfast, were listed on Alan Richman’s “The 20 Hamburgers You Must Eat Before You Die” (GQ, July 2008) list. 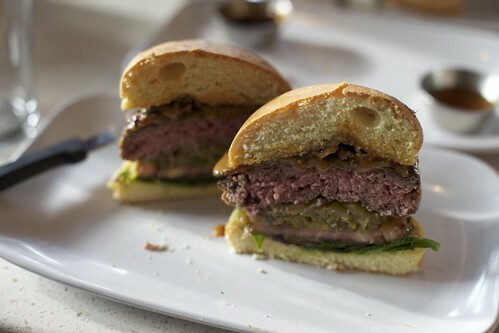 Even Celebrity chef Bobby Flay has tried his hand (and lost) at a green chile cheeseburger throw down with a local chef. If you can’t get enough of our Southwestern chiles, try your hand at some of these recipes. 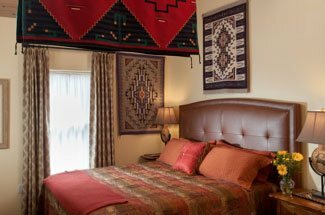 Whether your taste-buds are fit for the spicy adventures found along the Green Chile Cheeseburger Trail, or whether you crave something with a little less heat, a stay at our Santa Fe Bed and Breakfast is the perfect way to relax and unwind after your days of culinary adventure.